A Premier online store based in United Kingdom, Movie Posters Direct offers an assortment of movie posters and celebrity photographs. 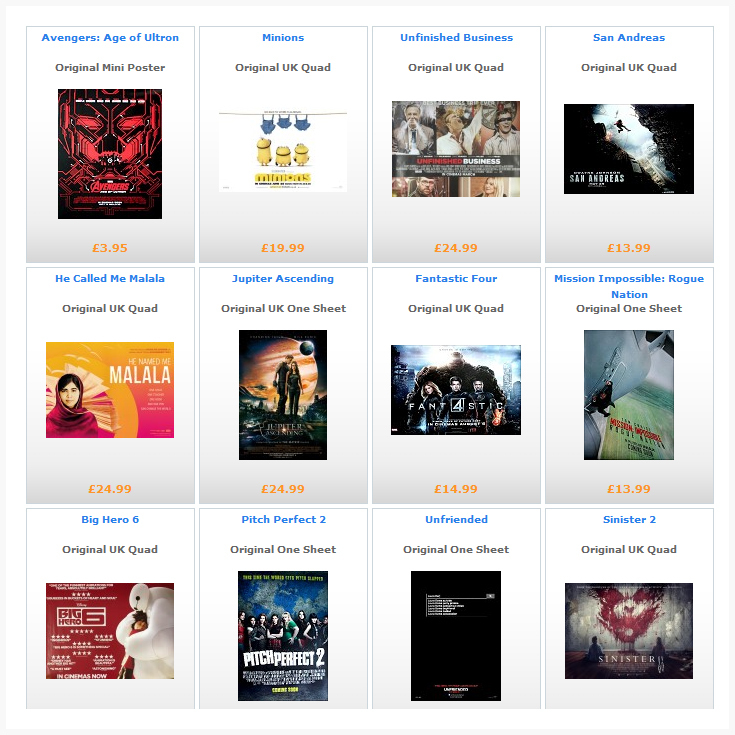 Considered to be a rapid growing platform in the United Kingdom, the company allows people to shop from a range of already released, as well as, upcoming movie posters. Also, can purchase their favorite celebrity stills from their movies and real-life. Whether you are one of them interested in collecting your favorite movie posters, or, looking to purchase a quality reprint for an affordable price, the company also includes posters relates to music and motivational stuff. Apart from selling via their own website, the company also sells across leading marketplaces that include eBay and Amazon. The company had to invest more time and effort to manage major back-end operations across multiple marketplaces, increasing the chances of not being able to fulfill orders in time. Movie Posters Direct lacked a system that could bring together their entire inventory, purchases, and sales information. Orderhive helped the company to easily integrate all their stores, including their shopping site’s data (WooCommerce) at one place, helping them automate and process back-end operations efficiently. Orderhive has also created customized shipping labels to manage their fulfillment processes seamlessly just how they’d like. The company also required a system that allowed them clear insights on their purchase order flow with their suppliers, which is now available to the company via Orderhive’s multi-channel system. With Orderhive’s multi-channel management system and expert’s advice, the company is now able to process their stock, orders, and fulfillment process from one centralized place. Offering an easy-to-understand dashboard, the company can manage quickly multiple orders, helping them save hours and hours of operation that was spent earlier. Check some of favorite movie posters and celebrity photographs Click here.